Baskin-Robbins® is polling America's palate with Flavor Debate '08, a limited edition release of two new presidential election flavors. The two flavor candidates up for debate: Straight Talk Crunch (representing Republican Senator John McCain) and Whirl of Change (representing Democratic Senator Barack Obama). Beginning Sept. 3, Americans can vote for their “flavorite” candidate in any Baskin-Robbins store nationwide or online at http://www.baskinrobbins.com. Flavor polls will close midnight, Oct. 20. Votes will be tallied and the winner of Flavor Debate '08 will be announced on Oct. 21, possibly providing a taste for which candidate Americans will choose as the next President of the United States in November. "The Flavor Debate provides a fun venue for ice cream lovers of all ages to engage in this year's political race. It doesn't matter if you're 8, 18 or 88, everyone's taste buds matter and every vote will count," said Scott Colwell, Baskin-Robbins Brand Marketing Officer Worldwide. "Baskin-Robbins is capturing the excitement of this important election year, and possibly getting a taste of who Americans will elect as their next President in November." With Flavor Debate '08, Baskin-Robbins continues the brand's tradition of celebrating historic occasions in American history with sweetness. In 1960, Baskin-Robbins created "Candi-date," a Vanilla ice cream with diced date and butter brickle candy. This flavor debuted at the Democratic National Convention, where John F. Kennedy would ultimately be named the party's presidential nominee. For the 1996 presidential race between Bill Clinton and Bob Dole, Baskin-Robbins created "GOPeanut Butter" and "Saxy Candidate." In these flavors, Baskin-Robbins offered a "fair and just" amount of creamy Vanilla ice cream and "liberal" portions of Baby Ruth® candy bar pieces – a delicious foundation for two distinctively different flavors. As the 2008 presidential election draws near, Baskin-Robbins is opening its own voting booths to ice cream lovers of all ages and ice cream flavor affiliations. America's favorite neighborhood ice cream shop is rolling-out two new election-influenced flavors, sure to inspire taste buds, left to right and right to left across the nation. The two limited edition election flavors are available at Baskin-Robbins stores nationwide through the election, while supplies last. The creation of these two new flavors evolved democratically. Baskin-Robbins Research & Development team began with a variety of flavors, each corresponding to particular presidential hopefuls. As candidates picked up momentum and party nominees became more apparent, the Baskin-Robbins team, working arduously in sync with the presidential process, whittled its special election ice cream creations down to two delectable flavors. For both flavor candidates appearing in Baskin-Robbins shops this election season, the team was meticulous in choosing bi-partisan ingredients. For example, Straight Talk Crunch runs on a platform that includes crunchy mixed nuts to unify its complex recipe, while Whirl of Change promises peanut-nougat ice cream and chocolate-covered peanut brittle, among other dynamic ingredients. In the end, ice cream enthusiasts will decide the winner of this delicious debate. Named the top ice cream and frozen dessert franchise in the United States by Entrepreneur magazine's 29th annual Franchise 500® ranking, Baskin-Robbins is the world's largest chain of ice cream specialty shops. 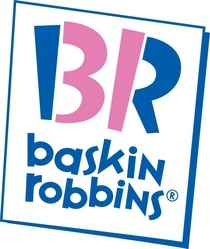 Baskin-Robbins creates and markets innovative, premium ice cream, specialty frozen desserts and beverages, providing quality and value to consumers at more than 5,800 retail shops in more than 30 countries. Baskin-Robbins was founded by two ice cream enthusiasts whose passion led to the creation of more than 1,000 ice cream flavors and a wide variety of delicious treats. Headquartered in Canton, Mass., Baskin-Robbins is part of the Dunkin' Brands, Inc. family of companies. For further information, visit http://www.baskinrobbins.com.